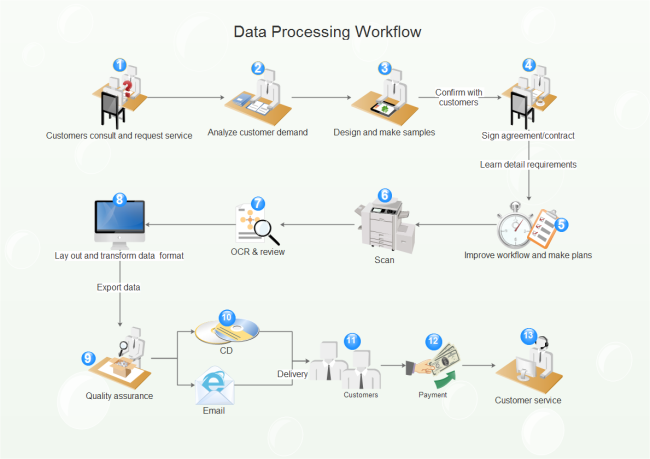 Description: A free customizable data processing workflow template is provided to download and print. Creating your own data processing workflow can be as easy as pie and as quick as lightning aided by Edraw. Here is an amazing data processing workflow example created by Edraw Max, which is available in different formats.